Hachiyanagi’s installation is aptly named for it has to do with the deeply seated human desire for communication. Created by Hachiyanagi with handmade paper, monofilament and roving (slivers of fine fibers) the work spreads and travels throughout the gallery emerging from walls, floors and ceilings in delicate skeins, webs, and membranes. Some of the wrinkled pressed, and creased handmade papers are left untouched, yet others are stained with natural shades of persimmon tannin in reddish brown tones. These beautiful membranes interact with the space and the viewer to create an extraordinary work that in its membranous delicacy and connectivity alludes to words or language. Hachiyanagi’s interest in digital communication underlies the intertwining cells that surround us. Yet her techniques are anything but electronic. 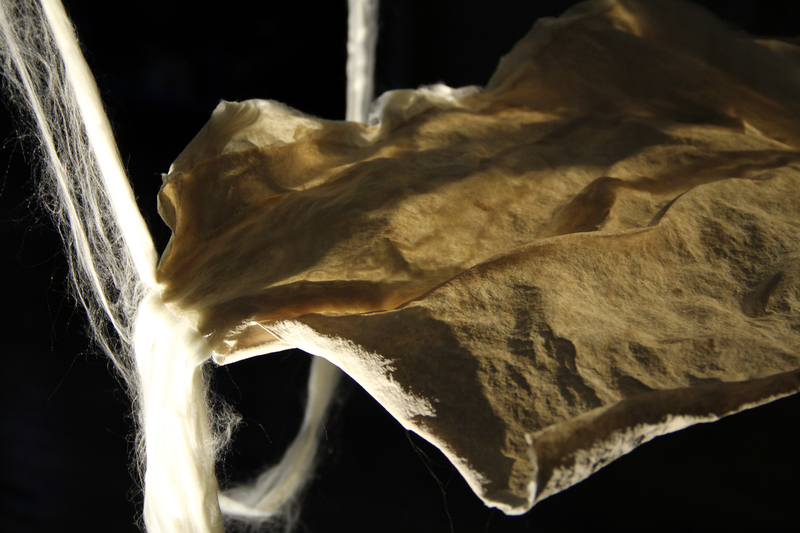 They are painstakingly produced analogs of handmade paper from nature not machine. This discrepancy can be discussed in terms of Derrida’s trace that recognizes the connectivity of language whose threads are the traces. It is that aspect of language that displaces, disjoins, dislocates and is not linear or simply binary. Like the barely observable threads in Hachiyanagi’s works, trace is the simulacrum of a presence that is able to dislocate thereby is not simply self-referential. Derrida felt that structures are to be decomposed in deference to speculative dialectics. Hachiyanagi offers us more than dichotomies and dualisms through her transformative seminal work. She deconstructs the simple structures of language to produce complex interwoven textiles wherein communication produces other forms of expression. 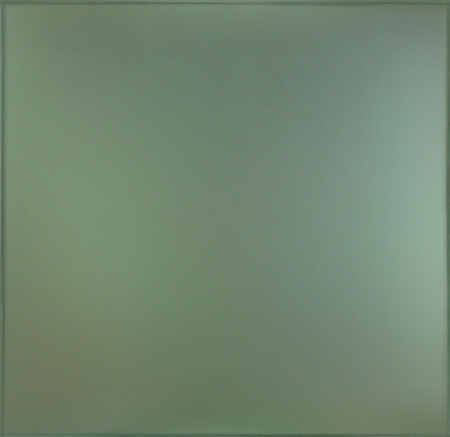 Hachiyanagi has exhibited nationally and internationally in many prestigious venues such as the Gallery Terra in Kyoto, Japan, the University of Northern Iowa Art Gallery, the Cummings Art Center in Connecticut, Williamsburg Art and Historical Center, Brooklyn, Elga Wimmer PCC, New York, Apex Art, New York, and in museums in Utah, Atlanta, and New York.